Fig. (1) Schematic diagram of the experimental design. 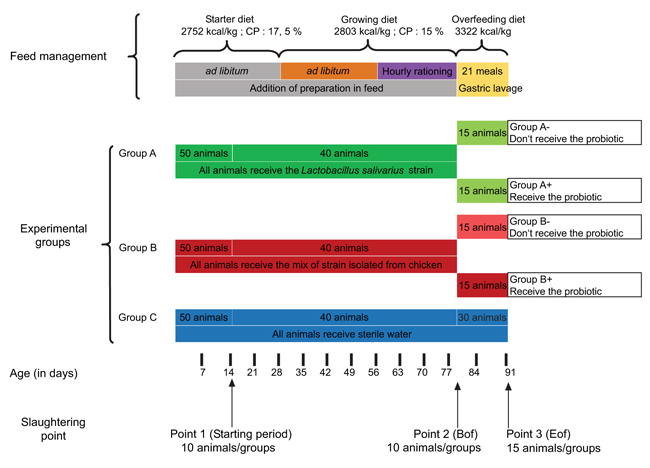 During the starter and growing diets, animals from each experimental group were reared in separate pens (18m2 per pen). Heating was provided for the first 14 days, then no heat was provided and the animals had access to the outdoor pen (8m2).